for as little as $50 w / purchase. TBH-1 $ 299. 83-87 Dominator 3" hood TTBH-83 $ 689. 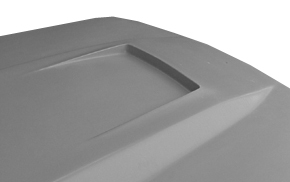 83-87 Dominator 3" hood TBH-7C $ 399. 89-93 GT-41 Hood TTBH-89 $ 689. 83-87 10" Torpedo Hood TBH-92 $ 449. 83-86 Trunk Lid TBT-1 $ 199. 89-93 GT-41 Hood 3" TBH-7D $ 399.
contours. Additional hold downs required. - Cowl Induction style TECHHOOD design.